Our Nepal Cashmere Pashmina Shawl Wraps are made from the fine, downy wool of the Cashmere goat, indigenous to the Himalayan region of South Asia. They are prized for their wonderful warmth and softness. Power-loomed by native South Asian artisans, these shawls display the region’s ancient native textile tradition. Today, Asian shawls are an international sign of luxury, style, and elegance. 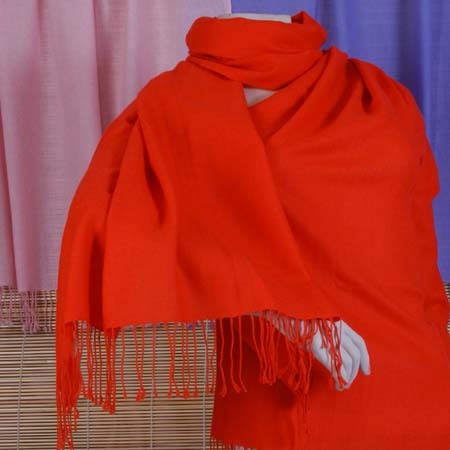 Our Nepal Cashmere Pashmina Shawl Wraps come in a range of elegant solid colors. These versatile stoles are unisex, and will complement any style of dressing. These beautiful textiles can also be used as decorative throws for the home.